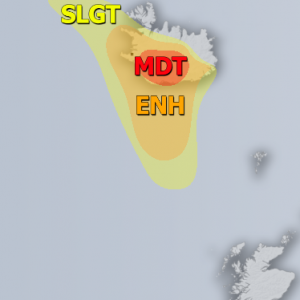 Europe is dominated by an extensive upper ridge while deep trough with cyclone is placed over N Atlantic, pushing a frontal system towards British Isles. 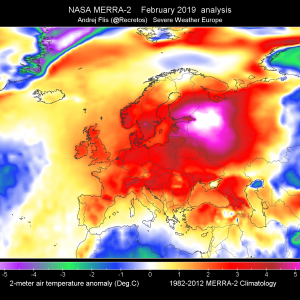 Deep trough continues SSE across W Russia and far E Europe. 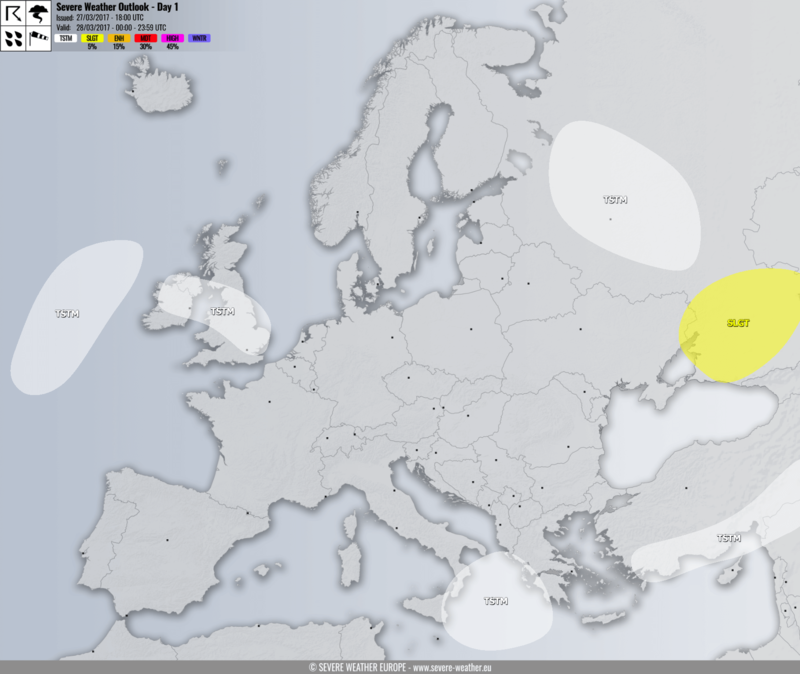 A SLGT risk has been issued for SW Russia with threat for severe winds, locally in excess of 100 km/h. 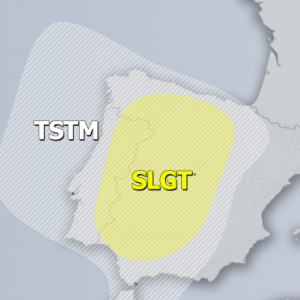 A TSTM+ risk has been issued for parts of British Isles where some isolated severe storms are possible in the afternoon. 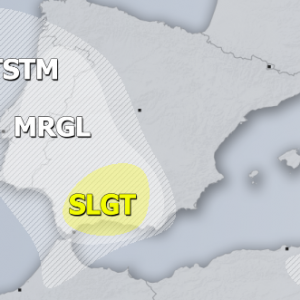 Marginal CAPE but moderate shear could produce marginal hail and severe winds. 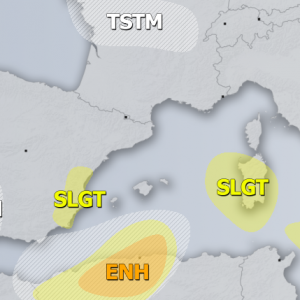 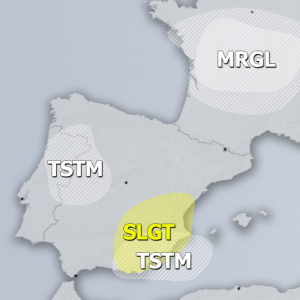 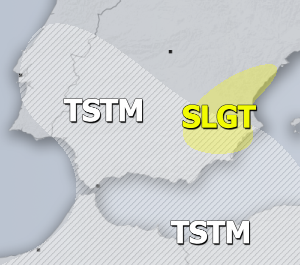 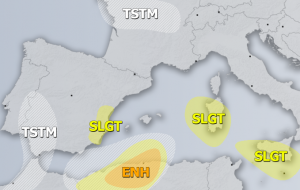 TSTM risks have been placed across parts of N Atlantic, Ionian sea, S Turkey and NW Russia where some isolated storms are possible, should mostly remain sub-severe.